The reasons for this are that it attracts a diverse group of people to it due to the broad appeal of the programme, marrying the academic requirements of a BA Hons, with the practical, work-based learning that so many seek. Our apprentices come from a varied background, ranging from career changers, to school leavers and college graduates. Over our three intakes, we can report that our youngest entrant was 18 and our oldest, 44, with over 35% of all apprentices, being over the age of 23 years of age. With a national reach, the apprenticeship programme also enables those living outside of the bigger cities, to be able to apply for and work in their local areas. This enables candidates around the country to be able to stay at home and still get a degree, promoting affordable learning options that lead to a solid career. 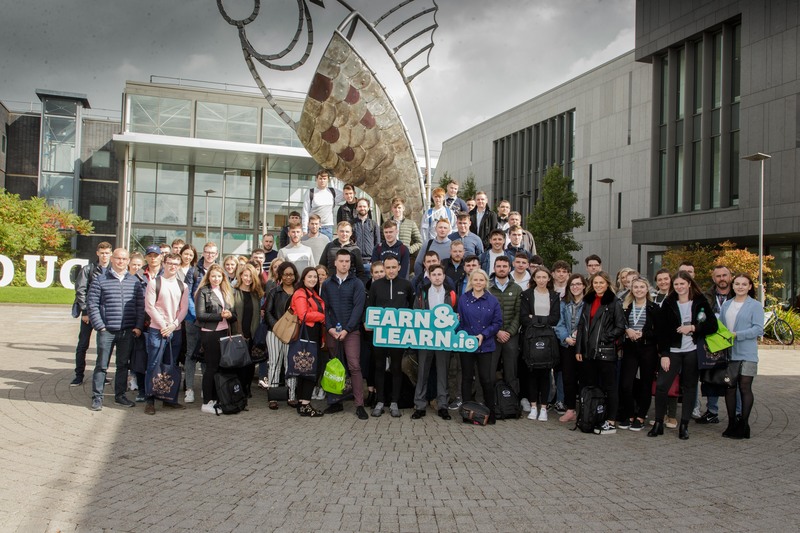 Almost 50% of our apprentices are outside of Dublin, using blended-learning technology to study, whilst in the office and on-demand study supports to facilitate flexible study options to fit their lifestyles. “We believe this is an innovative scheme, reflecting the new face of the insurance industry in Ireland. It ticks many boxes for anyone looking for a strong career in an exciting sector and as employers, you have the chance to get somebody who has a career mind-set, as well as someone who is continually improving their skill set as they work towards their degree." 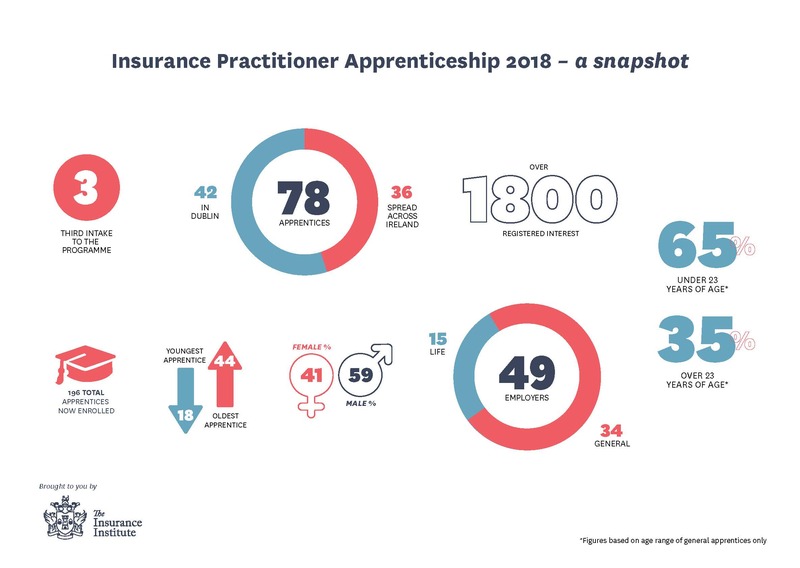 By embracing this apprenticeship initiative, the insurance industry is developing a talent pool with the specialist skills it needs, to keep pace with the latest technology and working practices. By embracing diversity and inclusion in this way, we can create the leaders of tomorrow from within. For more information on how to be part of the first Level 8 Apprenticeship programme in Ireland please contact Naomi Gaffney on 01 645 6600.